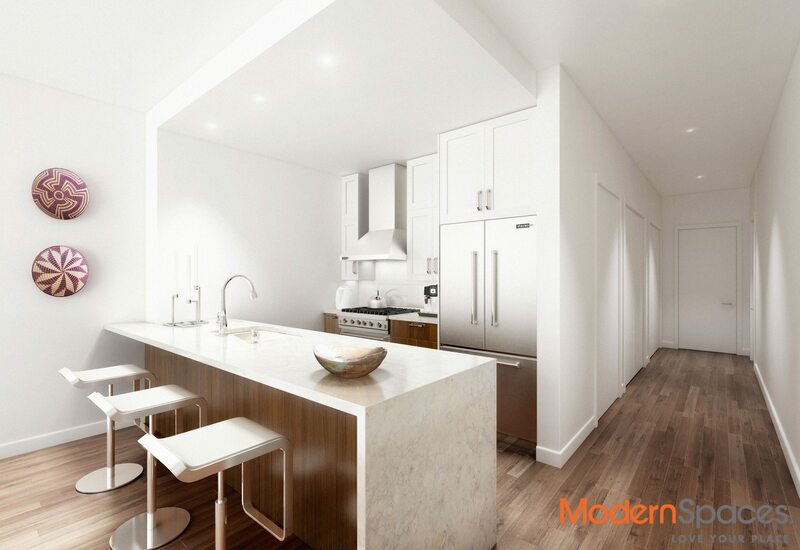 Introducing an exciting new way of life at 5-41 47th Rd. in LIC. 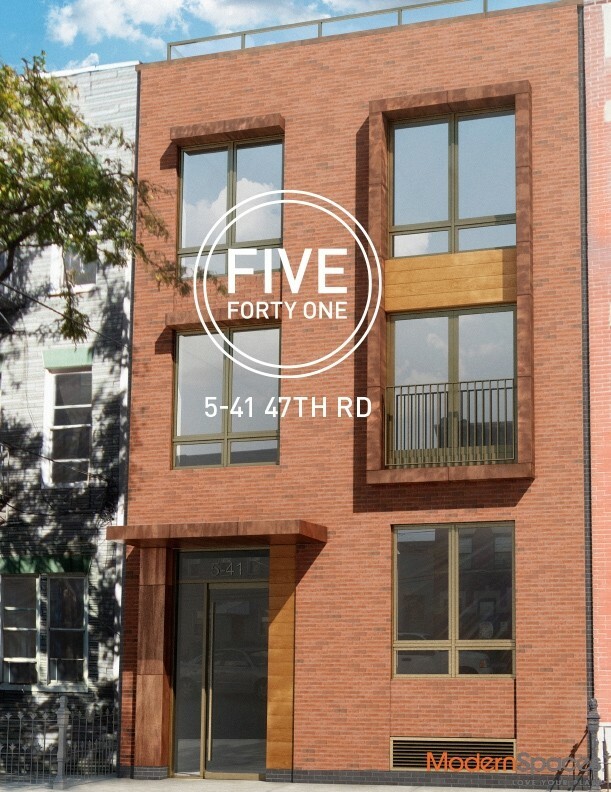 FIVE FORTYONE is a truly unique and luxurious way of living. This exclusive, one of a kind boutique condominium building offers 3 spectacular residences in total. Each spacious home is comprised of 3 bedrooms and 3 full baths with their own fully appointed, and perfectly landscaped, private outdoor living spaces. Featuring one expansive 2,040 square ft Garden Duplex home, a 1,616 square ft Penthouse Triplex, and another 1,596 square ft Penthouse Triplex. The most considerate attention has been paid to creating generous, yet gracious, living spaces. The kitchens encompass top of the line appliances that include, a Viking Gas Range and Wall Hood, Viking French Door Fridge, Bosch Dishwasher and Avanti built in Wine Cooler. Custom Wood Shaker style cabinetry and 6 inch wide, custom stained White Oak Hardwood Floors run throughout. Experience the magnificently appointed baths, outfitted with Artos rain showers, pull down Teak shower benches, and Kohler fixtures throughout. FIVE FORTYONE truly offers discreet town house living while blending all of the fine finishing details of an opulent new high rise condominium. Conveniently located on 47th Rd. between Vernon Ave. and 5th St. LIC It’s dotted with cafes, quirky boutiques, restaurants and is centrally located to Brooklyn’s hottest hoods. Populated with artists, visionaries, entrepreneurs, and innovative small businesses, it represents a forward-thinking approach to life. Just s stones throw away to NYC, one quick stop on the 7 Train to Manhattan. Long Island City as a neighborhood is no longer the Next Big Thing it has well proven itself as the very Best Place to Live Now. Introducing an exciting new way of life at 5-41 47th Rd. in LIC. 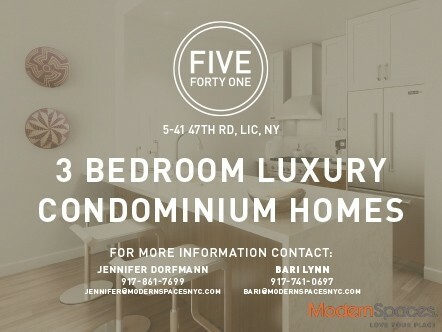 FIVE FORTYONE is a truly unique and luxurious way of living. This exclusive, one of a kind boutique condominium building offers 3 spectacular residences in total. Each spacious home is comprised of 3 bedrooms and 3 full baths with their own fully appointed, and perfectly landscaped, private outdoor living spaces. Featuring one expansive 2,040 square ft Garden Duplex home, a 1,616 square ft Penthouse Triplex, and another 1,596 square ft Penthouse Triplex. The most considerate attention has been paid to creating generous, yet gracious, living spaces. The kitchens encompass top of the line appliances that include, a Viking Gas Range and Wall Hood, Viking French Door Fridge, Bosch Dishwasher and Avanti built in Wine Cooler. Custom Wood Shaker style cabinetry and 6 inch wide, custom stained White Oak Hardwood Floors run throughout. 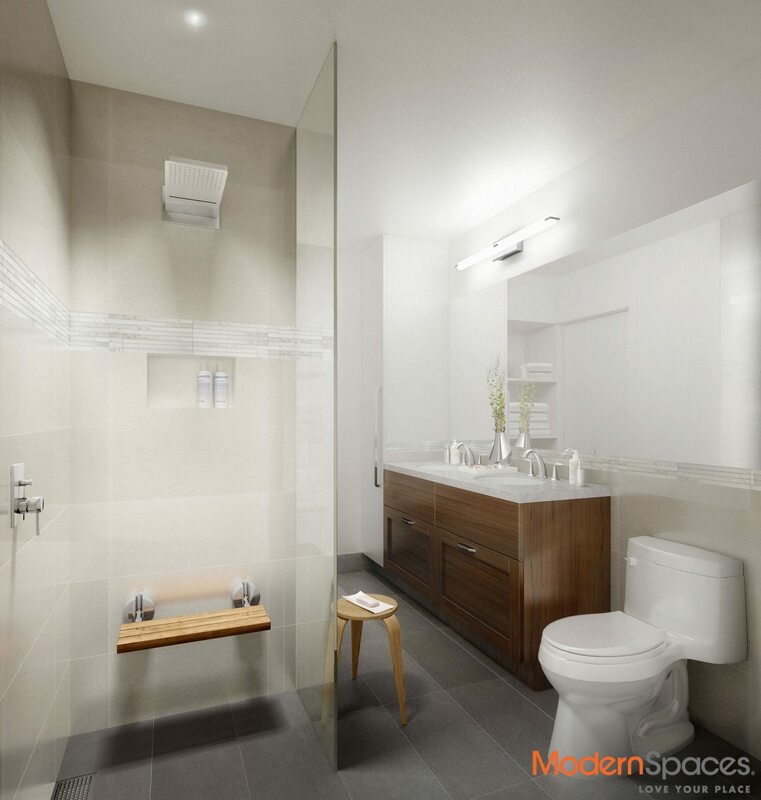 Experience the magnificently appointed baths, outfitted with Artos rain showers, pull down Teak shower benches, and Kohler fixtures throughout. FIVE FORTYONE truly offers discreet town house living while blending all of the fine finishing details of an opulent new high rise condominium. Conveniently located on 47th Rd. between Vernon Ave. and 5th St. LIC It's dotted with cafes, quirky boutiques, restaurants and is centrally located to Brooklyn's hottest hoods. Populated with artists, visionaries, entrepreneurs, and innovative small businesses, it represents a forward-thinking approach to life. Just s stones throw away to NYC, one quick stop on the 7 Train to Manhattan. Long Island City as a neighborhood is no longer the Next Big Thing it has well proven itself as the very Best Place to Live Now.